Due to the Tohoku Earthquake on March 11, 2011, and the following typhoon on September 21 that same year, the shrine grounds were severely damaged. There is still a great deal of restoration work to be done. The insect damage to the pine trees and damages from storms had been a problem even before the Tohoku Earthquake. However, the damage was spread to a much wider area because of the earthquake. We welcome donations to support the recovery from the earthquake as part of the ongoing restoration activities. 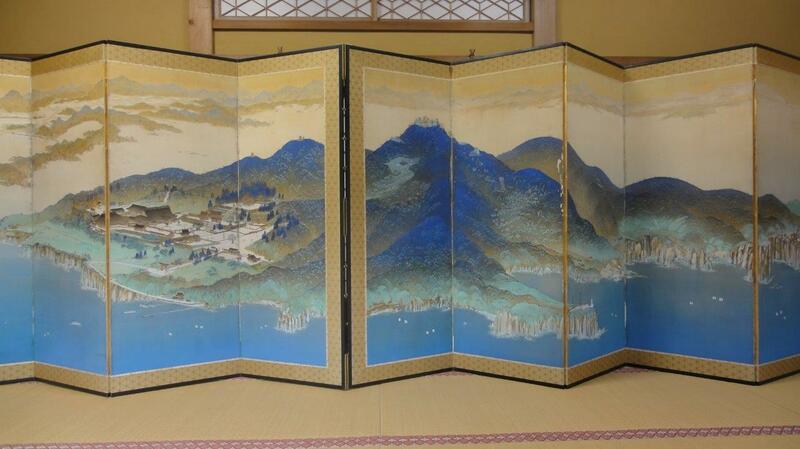 Please go to the ‘Restoration of Kinkasan Koganeyama Shrine Grounds’ page for more details. 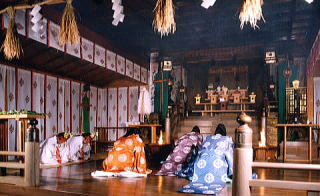 The funds for the great festival (Midoshi Goennen Taisai; a festival to celebrate the year of the serpent, which is held every 12 years) are also utilized for these restoration activities. 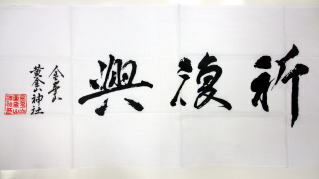 A special Tenugui (towel, or washcloth) was made to wish for a quick recovery from the devastating earthquake. The Tenugui are sold for 1,000 JPY per piece. The profit will be used for the restoration. Please make your order through phone, fax or Email. We will deliver your order to the specified address with an enclosed postal transfer paper for the payment. © 2019 kinkasan. All right reserved.